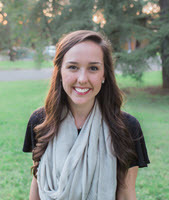 Mary Evelyn graduated with a bachelor's degree in mathematics in from Murray State University in May of 2014. She spent 3 years as a math teacher in Mississippi and is now working toward her master's degree in political science. She currently serves as a graduate assistant with Athletic Academic Support Services. Mary Evelyn was raised in western Kentucky and is enjoying her time in the state of Mississippi. Bryan is originally from North Carolina but was raised in Georgia. He received his Bachelors' degree from Georgia State University by majoring in History with a minor in Political Science. Currently, he is a second year master's student within the Political Science program. He is interested in American Politics with a particular fascination on the South. He also serves as a graduate teaching assistant within the Political Science and Public Administration Department.